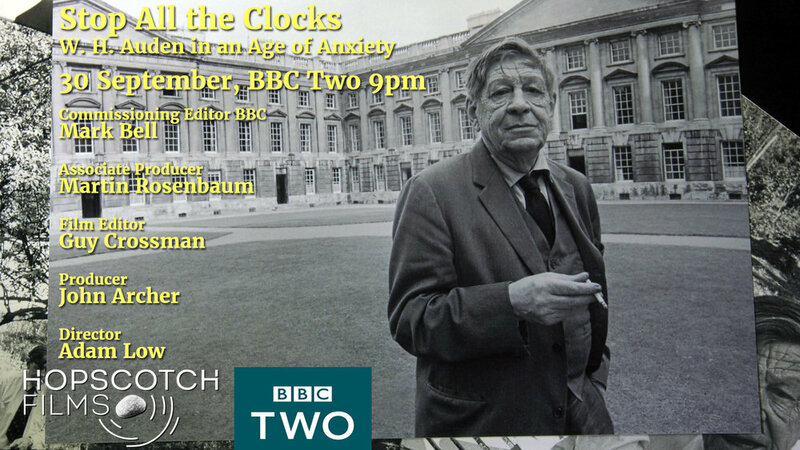 And tune into a fascinating hour with the poet of our times WH Auden. Thirty years after his BBC film The Auden Landscape, director Adam Low returns to the poet and his work. Following surges of popularity - from featuring in Four Weddings And A Funeral to being the poet New Yorkers turned to after 9/11 - Low reveals how Auden’s poetry helps us to better understand the 21st century and the tumultuous political climate in which we now live. Why does the poet - who began as the golden boy of the 1930s and ended up as the craggy-faced laureate we never had - have a greater hold on our imaginations than ever before? Writers Alan Bennett, Polly Clark, Alexander McCall Smith and Richard Curtis and poets James Fenton and Paul Muldoon share their passion for Auden, and celebrate the potent, moving impact of his work. During his lifetime, Auden was often an outsider. A gay man at a time when homosexuality was illegal in Britain, he became an American citizen from 1946 and his reputation in Britain suffered disastrously from his decision to leave England in 1939 and to stay in America throughout the Second World War. However, the popularity of Auden’s work has increased. A poet who coupled technical skill and emotional honesty and was able to engage simultaneously with the everyday and the universal; perhaps this is the reason he has remained relevant. His particular combination of humanity and scepticism seems to appeal more and more to this generation, one surrounded by political uncertainty and assailed by anxiety about the future. This film probes the peculiar hold that this angry young man of the 1930s still has on our individual psyches.